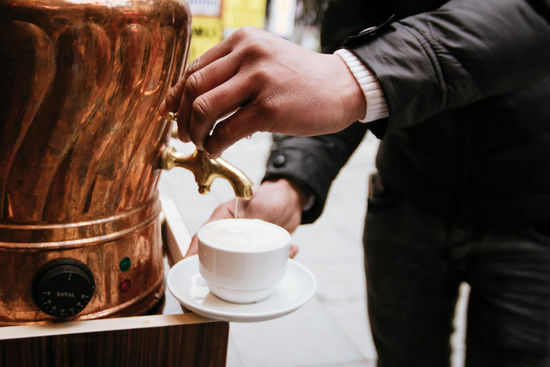 As the cooler temperatures set in around the country, winter drinks take precedent on the streets of Turkey’s cities and towns. As you pound the pavements of the northern side of Turkey and the chill of the icy air and slippery, snow covered streets begin to take their toll, nothing can be more satisfying than wrapping up warm and sipping on one of these delicious winter warmers. They range from the traditional and well known fare of Turkish coffee and çay, to the lesser known drinks that will surprise you with sugar, salt and locally produced spices, providing a tantalising assault on your taste buds. A health conscious population, the Turks turn to these hot beverages as ailments for winter sniffles, to stave off more serious illnesses and to provide a nutritious and vitamin filled snack to help them through the colder days. Health benefits aside, these warming refreshments with fill you with an appetising treat, Turkish style, which should definitely be enjoyed on a cold winter’s day! The name of this Turkish favourite is taken from the name of the flour made from the tubers of the orchid genus, Orchis, terrestrial orchids which have root tubers instead of pseudobulbs. This type of orchid is grown in various regions of Turkey, though the city of Kahramanmaraş in the Mediterranean region is best known for the production of salep. The root of the Orchis consists of two bulbs side by side; the larger one feeds the flower, while the smaller one acts as a spare. Salep flour can be made from both bulbs, but to preserve the plant, producers pick the smaller spare bulb and leave the larger one to keep the flower alive and generate a new spare bulb. The picked bulb is washed and boiled in water or milk and is then dried in open air before they are pounded when they are completely dried out. The flour produced contains starch, sugar and mucilage; a thick gluey substance. Salep when mixed with milk, has become the favourite winter drink in Turkey, but was popular as far back as the Ottoman era. Interestingly, Europeans may find this drink more familiar than you would think, as its consumption spread beyond the Ottoman Empire to England and Germany, even before coffee and tea. In England, the drink was known as ‘saloop’ and was incredibly popular in the 17th and 18th centuries, though back then it was mixed with water and flavoured with orange flower or rose water. The drink became so popular that the substitution of British orchid roots were used to make the drink more readily available. In Turkey today, other desserts are also made from salep flour, including salep pudding and salep ice cream, known as ‘dondurma’, also produced in Kahramanmaraş and more fondly known as Maraş Ice Cream, which has a much thicker texture, so thick it is eaten with a knife and fork, and a resistance to melting. Sadly, the popularity of this thick, sweet, winter drink, has led to a decline in the population of wild orchids, so much so that it is now illegal to export salep and the flour has become incredibly expensive in Turkey; a kilo can cost in excess of $140. Companies have found a way around this though, creating their own brands of salep mix by adding extra starch. For a true salep experience though, you need to find the real stuff, which is sold in herb and spice shops across Turkey. Be aware that a salep experience from a street seller will probably not be made from genuine salep flour. 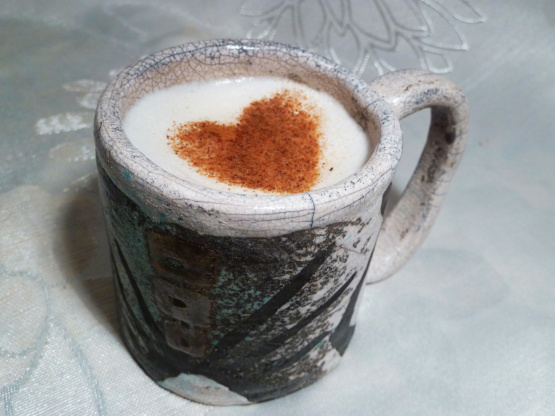 Of course, there are many benefits to drinking salep aside from its delicious taste. Salep is said to cure coughs, bronchitis, the common cold and constipation as well as offering incredible powers for the heart and mind. The Swiss German physician and botanist Paracelsus, also the founder of toxicology, found some humour in the basis of salep, commenting, “is it not formed like the male privy parts? No one can deny this. Accordingly magic discovered it and revealed that it can restore a man’s virility and passion”. Whether you want to increase your virility and passion, cure your winter cold or simply enjoy this great tasting winter warmer, salep is incredibly easy to make once you have your hands on some genuine salep flour. Mix a litre of skimmed milk with 4 teaspoons of salep flour, add a tablespoon of sugar and bring to he boil while stirring constantly for around 30 minutes, adding a teaspoon of vanilla essence towards the end, then serve warm with a sprinkling of cinnamon. Salep is thick, it is sweet and it is the best comfort drink in Turkey. Boza is a malt drink made from fermented wheat, which has a thick consistency with a slightly acidic sweet flavour and a low alcohol content. Produced by Anatolians since the 9th or 8th century BC, locals would preserve the fermented mixture in earthenware pots that were buried. 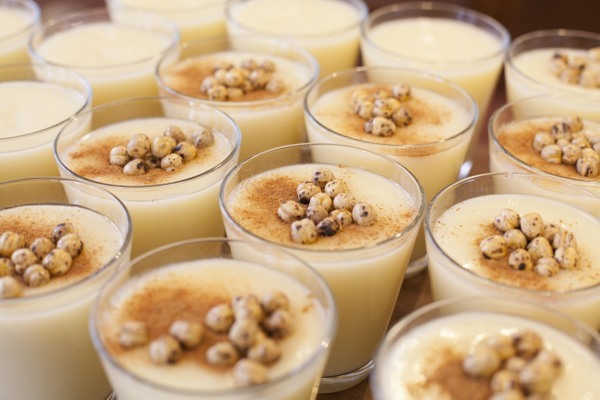 Since the 10th century, Boza has been developed and enjoyed by Turkic peoples and enjoyed its golden age, like many Turkish drinks, under the Ottomans. Boza making actually became one of the principal trades in many towns and cities; it was sold on the streets and later, due to the alcohol content, was sold in shops known as ‘bozahanes’, under the rule of Sultan Suleyman the Magnificent. Popular Turkish traveller and writer, Evilya Çelebi, noted that at one time there were over 300 stores and 1000 boza sellers in Istanbul alone and he was a big fan, despite never having drunk anything alcoholic in his life. He deemed the drink a health benefit, able to strengthen the body, improve blood flow and increase milk production in women who had just given birth. The tasty drink was developed by the Ottomans; pekmez was added along with cinnamon, cloves, ginger and nutmeg. By the time Sultan Selim II took to the throne, the alcohol content of boza had risen to about 9% and so he put limits on it. He also banned a new version of the drink, known as Tatar boza, which was served with added opium. Sultan Mehmed IV banned the sale of boza in 1670, but the people of Turkey would open up their bozahanes while he was away hunting. Fortunately, boza found its place in society once again and became incredibly popular with a slightly lower alcohol content and by creating varieties by adding flour or sugar. In 1876, brothers Haci Ibrahim and Haci Sadik established a boza shop in the Istanbul district of Vefa. Their particular brand of boza had a thick consistency and a tart flavour and became famous throughout the city. It is the only boza shop dating from that period that is still in business today, now run by their great-great-grandchildren. The shop is named ‘Vefa’ after its home district. Boza is made from bulgur, rice, sugar, yeast and water which is rich in carbohydrates and served as thick as a pudding with a sweet and tart flavour. It is served cold, but considered a winter drink because it has a warming effect when drunk. In fact, boza sellers would often turn to other drinks such as grape juice and lemonade as boza spoils if not kept in a cool place. Of course, with the invention of refrigerators, boza is now available in the summer, though it remains associated with the winter months. Boza is a rich source of nutrients, including calcium, iron, niacin, phosporus, riboflavin, thiamine and zinc, so filling and healthy that it was once used to feed the Ottoman army and keep them warm. In Turkey, boza is sold pre-made, however, if you want to make your own batch, you will need 2 and 1/2 cups of bulgur, 1/2 a cup of rice, 15 cups of water, 1/2 teaspoon of yeast, 2 1/2 cups of sugar and a sprinkle of cinnamon. Fill a large pot with the water and add the bulgur and rice, boiling until mushy. Strain the bulgur and rice and throw away the dregs, leaving the liquid to sit uncovered in the sun for a few hours. Mix 1 tablespoon of sugar and the yeast with a cup of water and add it to the pot. Let the mixture sit for around 20 hours, stirring occasionally, then add the rest of the sugar and leave for another 20 hours. 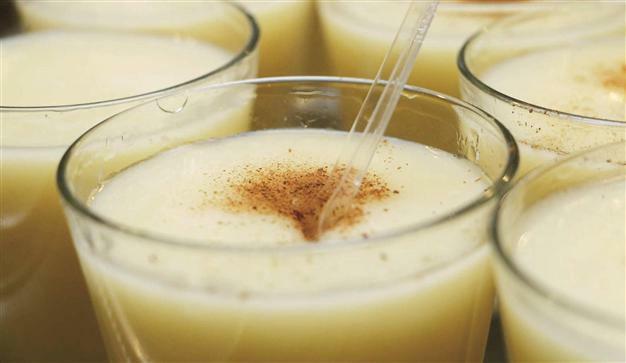 Keep the boza refrigerated and serve cold with a spoon and a sprinkling of cinnamon on top. Turkey is famous for its tea, or çay, the Black Sea region being a major producer of the black tea which has become so popular across the country, served with sugar in tulip glasses all day long. Rose hip tea, known as kuşburnu, is a flavoured tea which is also readily available across Turkey. Made from the fruit of the rose plant, also used to make jam and jelly, it is deep red in colour and has a bittersweet flavour. 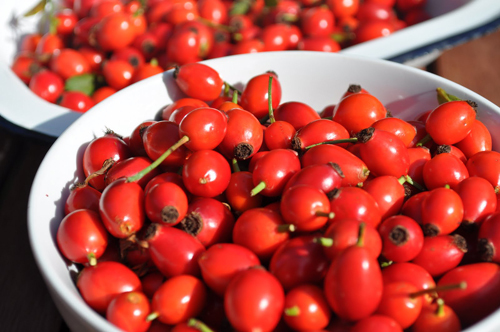 The fruit of the rose hip is cut into two or three pieces and dried in the shade at around 60-80 degrees. The dried fruit is boiled in hot water, first to soften the fruit, and again to prepare the tea for consumption. Spices are added to create new flavours, such as cloves, cinnamon and bergamot, or it can be enjoyed in its natural state. 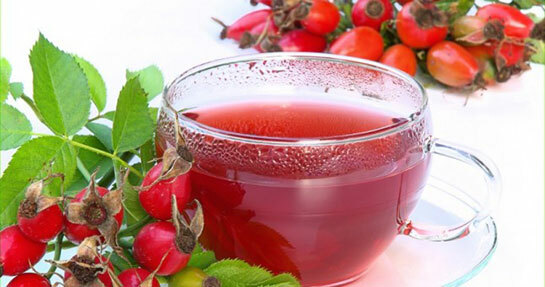 Rose hip tea is incredibly rich in vitamin C and antioxidants. It is most effective in protecting against colds and flu-like illnesses by strengthening the immune system. But the benefits don’t stop there. The refreshing tea can also bring down your blood pressure, reduce arthritis pain, reduce cholesterol, protect against urinary tract diseases and can be used as a diuretic. It is great for your skin and can be used to fight diabetes, alongside the claim that it can also slow the spread of cancerous cells. Rose hip tea is readily available across Turkey in pre-produced packets as you would expect of most types of tea. If you are determined to make your own variety, you will just need your own rose plant, which begins to form rose hips after successful pollination of flowers in spring or early summer and ripen in the autumn. Cut the fruit with a wooden knife to preserve the nutrients and leave to dry in a warm dry place. Boil the fruit in water until you find your desired taste and add any spices or flavours you wish! 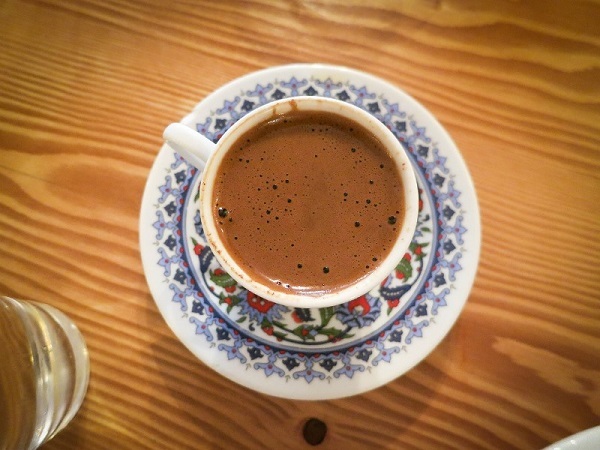 You can’t have a list of Turkish winter warmer drinks without a mention of Turkish coffee. The coffee must be prepared by grinding coffee beans into a fine powder, using a mortar or a burr mill and then mixed with water and boiled in a small pot known as a ‘cezve’. The coffee is incredibly strong and the mixture is thick and gloopy with a very distinctive smell. To serve, the coffee is poured into small cups and the drinker must let the coffee grinds sink to the bottom before tasting. The grinds of coffee are not meant to be consumed, not only for the taste or enjoyment of the texture, but because traditionally, the coffee grinds are used to tell your fortune. After drinking your cup of Turkish coffee, your cup is turned upside down and the fortune teller interprets the images seen on the side of the cup. Of course, coffee is enjoyed in Turkey to keep warm in the winter months, but it is also said to cure headaches and help fight against liver and stomach disorders. Turkish coffee is served in four degrees of sweetness: no sugar, had a teaspoon of sugar, one teaspoon and a lot of sugar! A well-prepared Turkish coffee will be served with a thick foam at the top. If your coffee is served with a glass of water, drink this first to cleanse your pallet before you enjoy your delicious coffee.